First off- lurking on your website as of today. Love reading your posts on TTAC and now on here. I’m going through all posts, on Friday night, alone in my room… How sad. Anyhow, this post intrigued me enough to comment. I was born in Japan, parents are biracial (one American, one Japanese). So I got to see first hand, and still do, of the interesting landscape, not just in terms of cars when visiting family back in Japan. These things look heck of a lot better in a sea of indistinguishable kei-cars and Toyota Crowns/Centuries. Have seen quite a few tricked out too. Wasn’t sure if I should have admired it, or laughed at it. 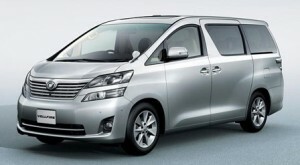 Name-wise however, the Alphard/Vellfire still loses out imo to the Mazda “Bongo-Friendee”… Anyhow I enjoy your posts! 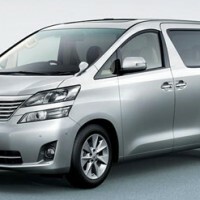 As above, you have / this is a great automobile website due to the excellent research and well written posts. Congrats, and may chance grant you a totally reliable classic car of your choice at a price you cant refuse. Thanks Dave – but I think we both know that won’t happen! !